This Funeral Address for Donkey 祭驴文 from the Dunhuang Library Cave made me tear up, so here’s the translation. The scroll is dated to be from the 7th to the 10th Century and is currently at the British Library. See the original here. Inspired by The Thousand Li of Mountains and Rivers by Song Dynasty artist Wang Ximeng as well as creatures from The Classic of Mountains and Seas , The Forbidden Palace‘s first app (in collaboration with Netease) is now available for free on Apple app stores world wide. The click-and-point adventure game takes the player through four paintings, each exploring a different theme with a different legend. Despite simple gameplay, the artwork and music are gorgeous that you can just enjoy it as an interactive animated film. Several of the stories are also quite creative. There’s also a mini-story for many of the story elements where you can learn about the objects and creatures and their legends. Plus, the translations are solid. Search for “Ink,Mountains and Mystery” in your app store. The premise of entering a painting is actually perfect for this particular painting. Painted by the then eighteen-year-old Wang Ximeng for the Song Emperor Huizong. His outrageous demands was appeased by the emperor earlier on, but eventually he angered the emperor and was sentenced to death. Before his execution, he asked to be left alone with his painting one last time. He entered the room that house the painting and was never seen again. Rumors has it he entered the world of his painting, and lives there still. On top of that, the game also collaborated with several hanfu companies to release limited edition outfits based on the characters. This would be the perfect aesthetic for our non-existent cyberpunk wuxia drama. Artist 手指断了a , most famous for doing the Chinese posters for films such as Blade Runner 2049, Ghost in the Shell, and Ready Play One, had this set of cyberpunk Beijing images that I absolutely love. 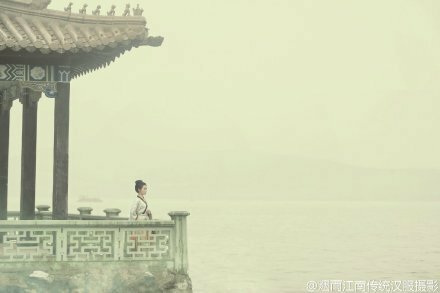 Couple @三兽sanso and @小姬joy spent half a year traveling across China to take wedding photos in the style of all 56 officially recognized ethnic groups. They usually asked locals to help them get as authentic clothing as possible (some accessories they used are family heirlooms, some are museum pieces) , although some are more touristy costumes. They also said that given the choice, they usually opted for less religious clothing. It’s really a pity that only like five of them are regularly represented in TV series. I would love to see more historical and modern dramas exploring their stories. Vlogger Li Ziqi uses traditional Chinese methods to make food, clothes, furniture, and cosmetics. If you’ve ever wondered how those pieces of paper used as lipstick in ancient drama works, here’s a video demonstration by Weibo star and vlogger Li Ziqi. 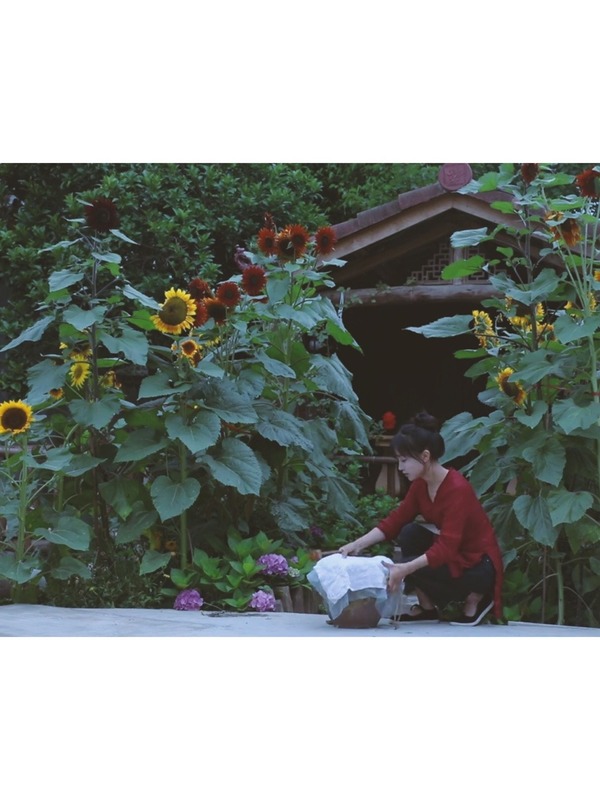 Li Ziqi is famous for using traditional methods to make mostly food, but she also occasionally does other videos like making traditional Chinese cloth shoes, paper, and even a swing. She recently signed a deal with the Forbidden Palace Museum for her own line of traditional snacks. Here’s a gorgeous re-envisioning of Disney princesses, queens, and sometimes even a rabbit if they were Chinese by photographer 老妖. If you’re watching The Story of Minglan, you might be able to see a fancy way of dining that involves placing food on a table with running water. Did people really eat that way? Well, rich Asians are going to be crazy. This style of eating has two potential origins. One is from a popular drinking game dating back to at least 353 AD called 曲水流觞, literally “In the winding stream flows vessels of alcohol”. In this popular drinking game (among fancy people) , you place a cup of alcohol on a floating device in the “river”, and wherever the cup stops, the person has to drink and compose a poem. If you can’t compose a poem you have to drink three extra cups. The most famous recorded of such was such an event in AD 353 held by calligrapher Wang Xizhi where he wrote the famous Lantingji Xu. You can see a depiction of this in The Secret of the THree Kingdoms. This origin is very well-documented, and is actually popular, but it was usually used for drinking games only and not full meals.